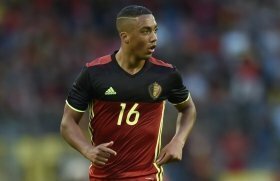 Manchester United are understood to hold an interest in signing AS Monaco's Youri Tielemans, who is currently on a short-term loan with Premier League side Leicester City. The Belgium international joined the Foxes on a temporary basis from Monaco in January and he has since been in fine form with one goal and four assists from just seven league appearances. This has already led to suggestions that the Foxes may sign him on a permanent deal but according to HLN, they could face stiff competition from the Red Devils. Barring Paul Pogba, United have lacked the presence of a regular creative force from the centre of the park and Tielemans has been identified as a probable option to sort the concern. Tielemans is currently valued at around £40m and his potential arrival at Old Trafford could coincide with the departure of Ander Herrera from the Mancunian giants. The Spaniard has failed to agree on a contract extension with United beyond the summer and reports have indicated that he has already agreed a pre-contract ahead of a Bosman move to Paris Saint-Germain.